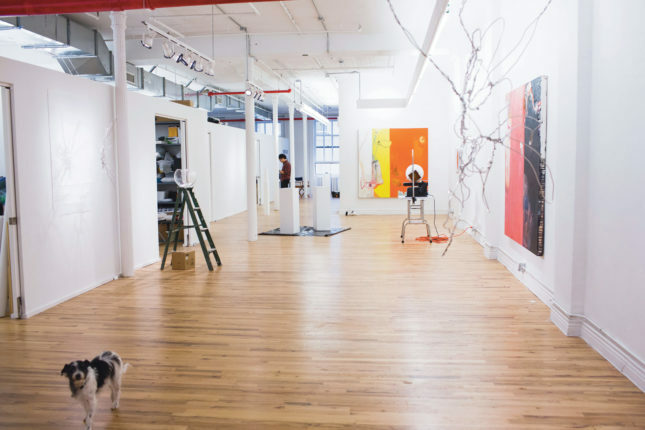 “I just got tired of people always talking about the same problem—it’s simple, just don’t go for the highest dollar [as a landlord],” said sculptor Andrea Woodner in response to constantly hearing how hard it is to foster the arts in New York City. 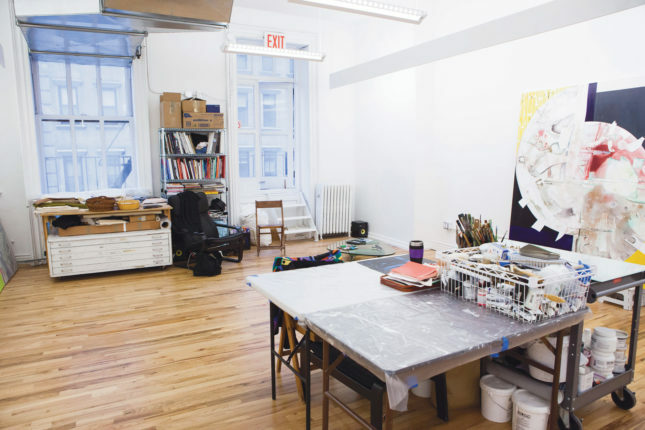 When the third floor became available in her building, 25 Park Place, she worked with architect and business partner (the pair cofounded Design Trust for Public Space) Claire Weisz of WXY to renovate it for artists’ work studios to be leased below market rate. They dubbed it the Hercules Art/Studio Program (named for the 1930s Hercules Seating sign on the building). Weisz gutted the 5,700-square-foot space to create the seven studios, a common area, an industrial kitchen, bathrooms with showers, and a gallery. “It looks simple, but it took a lot of fussing,” said Weisz. Getting sunlight to permeate the north-south-oriented floor proved particularly tricky. Weisz built partial, eight-foot-high walls to provide privacy without inhibiting natural light or the flow of heating and cooling. Although the budget was tight, Weisz opted to splurge on gallery-quality lighting designed by Domingo Gonzalez of DGA. Woodner selected the seven students to fill the space by visiting local graduate programs at Hunter College and Columbia University. 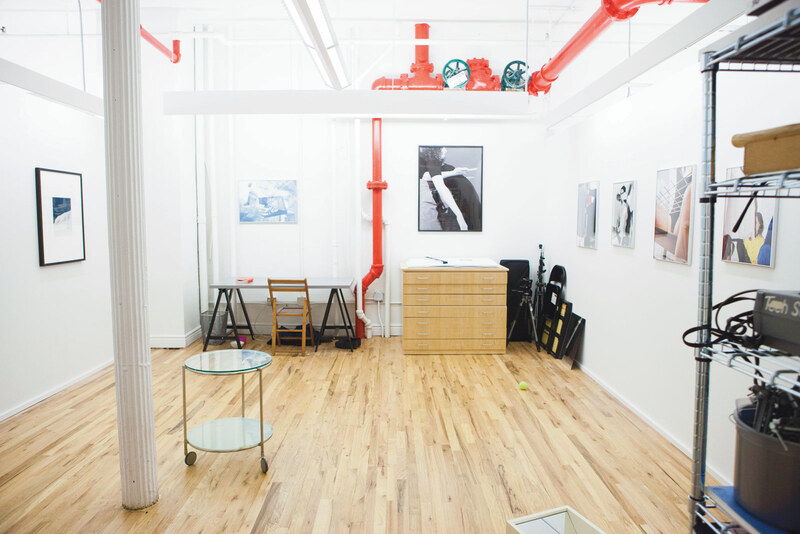 Each applicant had to submit a statement explaining that having a rent-controlled studio was critical to him or her to be able to continue working. Finalists were then interviewed to make sure they would be a good fit for the collaborative space. Woodner plans to host discussions, shows, and panels in the building to further connect the artists to the community and vice versa.